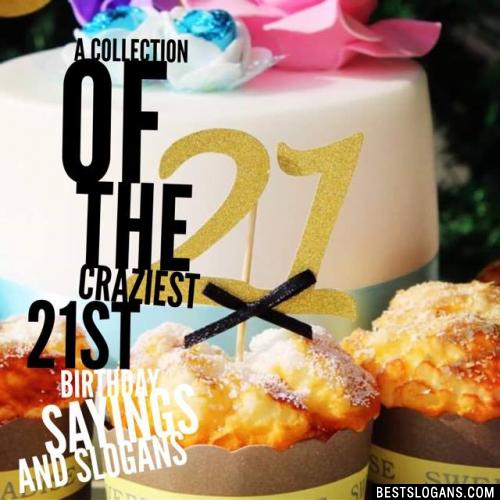 31 new entries added to 21st birthday slogans, that include pictures. 1. This is what 21 and awesome looks like! Everyone will start referring to you as "an adult." You will start realizing all the times, places, situations you couldn't order a drink before and you'll take full advantage. You will start to feel bad for your friends who are only 20...and a half. You will begin begging your friends to come drink with you. This is what 21 and awesome looks like! 2 I'm 21! Can you keep up with me? Let's go and see! 3 Yo I'm turning 21. Drinks are on me, hun! 5 21st rules! From now on you can do whatever you want. 6 You have 21 bottles of beer to drink. I hope you already started. 7 You have been waiting for 21 years to be able to drink some alcohol. Hmmm. I know you didnt! 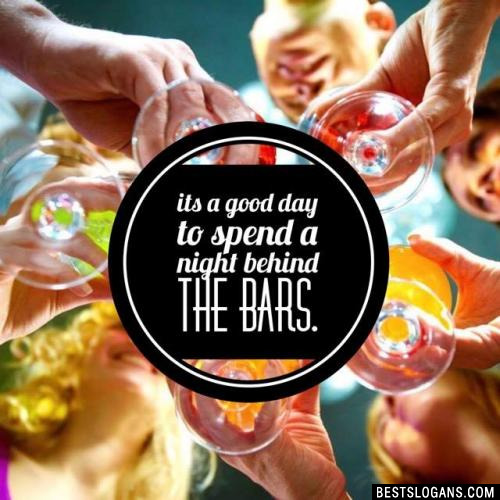 Its a good day to spend a night behind the bars. 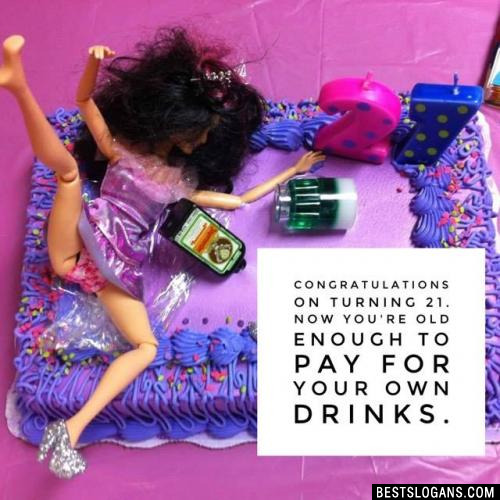 9 Your 21st Birthday comes along with great responsibility. Youre responsible for not getting too drunk. 10 21st birthday is good beer, hot girls, party and police. 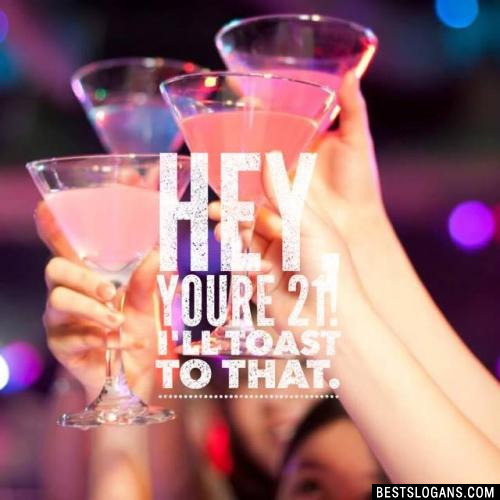 Hey, you're 21! I'll toast to that. 12 Now that youre 21, its time to stop playing video games and start designing them. 13 Now that youre 21, nobody can tell you want to do, unless of course, youre married. 14 At 21 years old, lots of new doors open up. Unfortunately the ones that could get you in the most trouble are the most tempting. 15 One fun thing on your 21st birthday is getting carded. 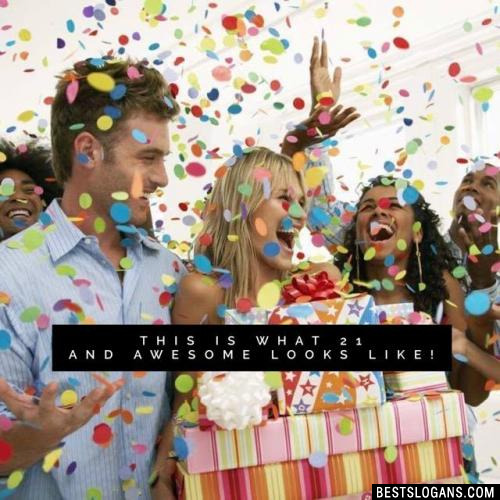 Its even more fun on your 30th. 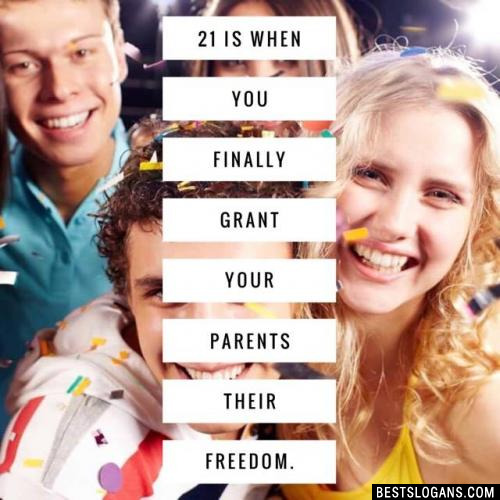 21 is when you finally grant your parents their freedom. 17 At 21 youre old enough to go to Vegas where you can lose all your money trying to hit on 20. 18 Hey, you just turned 21! Call your parents and tell them they cant make you go to bed! 19 It's your 21'st birthday, now you can do all the things you were already doing, but weren't supposed to be. 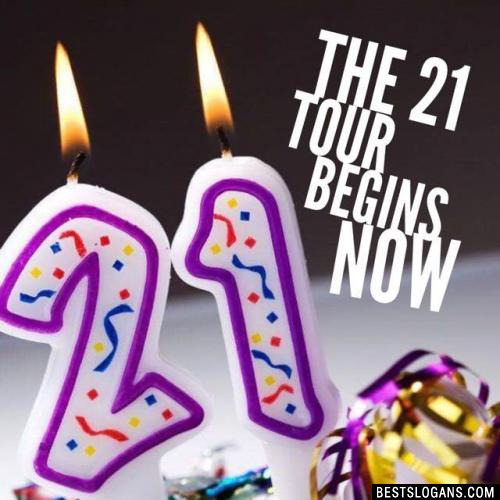 Can you think of a good 21st Birthday Slogans we're missing? Or come up with a clever one of your own. Please share below.